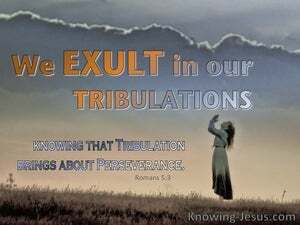 How we rejoice in Jesus, Who is our risen ascended and glorified Lord! Three of His disciples glimpsed the brilliance of His glory as of the only begotten of the Father, full of grace and truth, when He was transfigured before their startled gaze and the eyes of the apostle Paul were blinded by the dazzling glory of the Lord on the dusty road to Damascus. As members of the body of Christ we have been blessed with every spiritual blessing. Indeed, a thorough study of New Testament scripture, shows that there are hundreds of verses that remind us of who we are in Christ, and what God has done for the born-again believer. 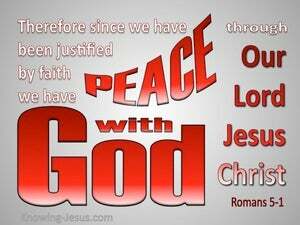 Because we are already justified we have peace with God through our Lord Jesus Christ. 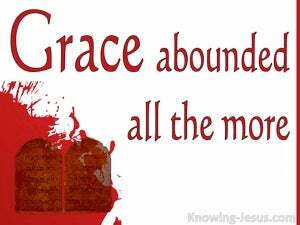 And because we have peace with the Father we have gained access, by that faith, into the grace into which we have been established! What a privileged people we are! 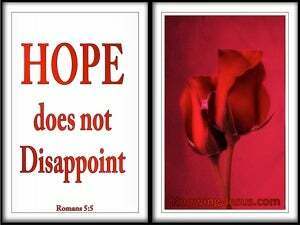 This enables us to grow in grace; mature in our Christian life and rejoice in the established hope we have in Jesus. 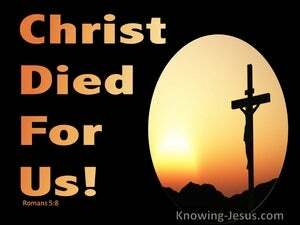 There is no greater demonstration of perfect love than that which was shown in the death of our Lord Jesus Christ for it was while we were still ungodly and unrighteous sinners, who were dead in trespasses and hostile towards God.. that Christ died for us. 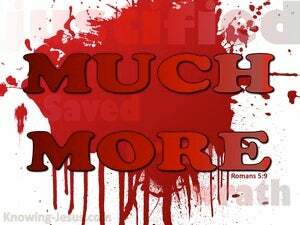 And the efficacious nature of that sacrificial love-gift is as potent today as it was when Christ shouted out in triumph - it is finished. Having laid the indestructible foundation that sinful man is irrefutably lost and at enmity with God through rebellion and sin, and having proved that all humanity have fallen far short of the glorious perfection that God expects from His creation - Paul jubilantly proclaims the triumphant victory of Christ's finished work on the cross.. over Adam's sin and our inherent sin nature. 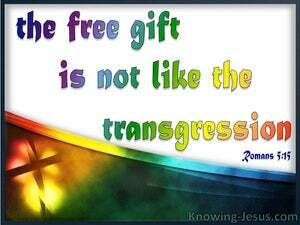 Had it not been for the cross of Christ, the curse of the Law and God's condemnation would have remained on the entire sinful race of humanity. 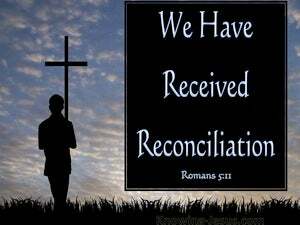 Had it not been that the world was reconciled back to God, through Christ.. we would have remained estranged forever from the One Who created us in His own image. 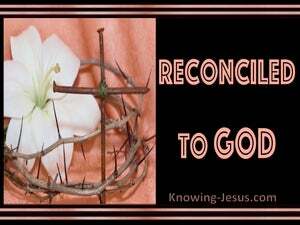 But it is God in His grace Who reconciled the world back to Himself, through the shed blood of Jesus Christ. 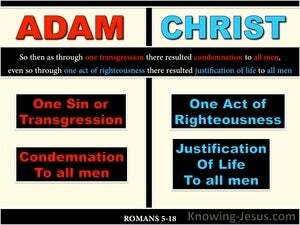 The condemnation we have in Adam is starkly contrasted with the justification we receive from Christ. The disobedience of Adam's rebellion, which resulted in man's misery, has death as its final outcome. However forgiveness of sins and eternal life is the result of Christ's obedience on the cross - and this is the glorious conclusion, for all who will trust on His name. 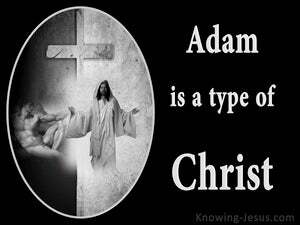 Adam was the federal head of the whole human race, and death prevailed because of his one sin. Due to Adam's single transgression all mankind was placed under condemnation, and death, which became the just reward for all - Adam's sin caused the fall of humanity and sin and death was imputed to mankind. 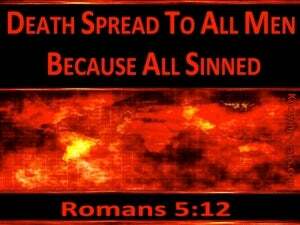 Man did not become a sinner by sinning, but as members of the human race, we were born in sin - and the wages of sin is death. We are born with a sin nature, because we are of the ancestry of Adam, and it was because of his one transgression, that death entered the world, and passed on to all humanity. 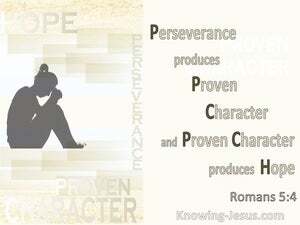 Paul draws a contrast between the actions of Adam and Christ. He also outlines the outcome of the actions of these two men. 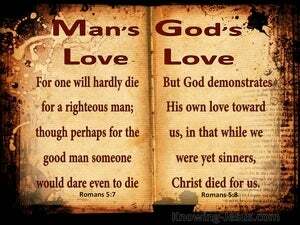 He compares the man that disobeyed God's command with the One that obeyed His Word - contrasting the one that sinned against God with the One that did only those things that He heard from His Father in heaven. There is much confusion about the consequences of Adam's sin as it relates to the Law of Moses, until one accepts that the root of all sin is traced back to Adam's one, original sin, which brought death into the world. People generally believe that man is basically good, while the doctrine of original sin teaches that man is inherently bad - because of our identity with sinful Adam. 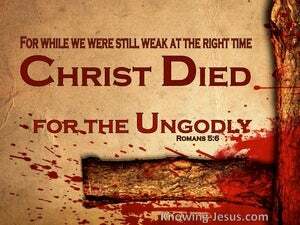 When Adam sinned, death came into the world. 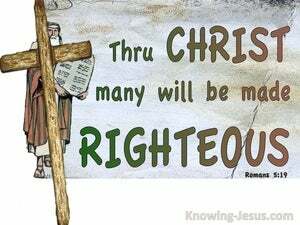 But until the Law was given through Moses.. over 2000 years later, death continued to reign in the lives of all men - even though man had been given no specific laws to keep, or any specific criteria for righteousness.